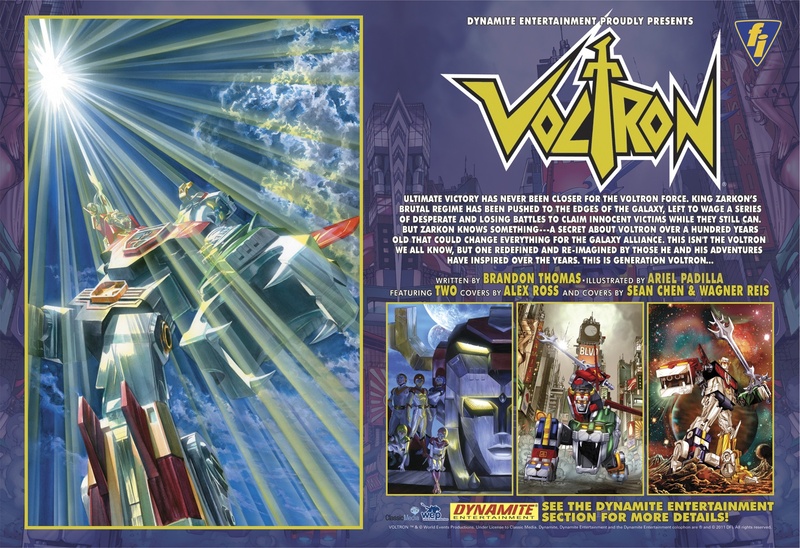 The first issue of the new Voltron series that I’m writing for Dynamite is now available for pre-order…you just might have noticed the giant foldout ad on the back cover of the latest Previews which has completely made my week. But it’s that time again where you have to tell your LCS to order you a copy of the book to make sure you get one come December. Please don’t assume that your store will order additional copies for the shelf, and always keep in mind that pre-ordering books goes a long way to ensuring titles survive well into the future. Do not trade wait independent books or chances are, there will never be a trade. To find your local supplier, call 1-888-COMIC-BOOK or go to the ComicShopLocator website. Attached to this posting is a short order form that’s already filled out with the appropriate codes. All you have to do is fill in your contact information, how many copies you want, and send it in by e-mail or by printing it out and dropping off a hardcopy.